When I choose the wrong path while under pressure, is it mere weakness or something more? I lived in California for over 30 years. I learned early-on that I was often in the minority religiously, morally, and politically. In fact, if one held a remotely conservative view, silence was the recommended modus operandi… unless you wanted to lose your job, be branded as a bigot, or simply sneered at. Liberals, on the other hand, vehemently spoke on their viewpoints even when it was unrelated to the subject at hand. I remember sitting at a networking business luncheon as the keynote speaker went on a random tirade about then-President Bush, even though the subject was supposed to be successful networking. I was a recent college grad and I was representing the small marketing company I worked for. I still wonder if I should have stood up and asked her to stick to the topic at hand or gone to the President of the Association and asked her to intervene. Instead I did what most conservatives do: I sat and steamed in silence. If you ever wonder how California got so over-the-top liberal, I can tell you in a word: Silence. When people fail to speak, their silence is taken as consent. Sometimes, it’s even worse: they consent because they feel pressured to comply. In Exodus 32, Aaron—the High Priest of Israel—is approached by the Israelites while they are waiting for Moses to return from the mountain. They demand that he make them “gods” to worship. Aaron, as a de facto leader, should have squared his shoulders and had them severely punished for the mere suggestion. Aaron shouldn’t have feared anybody but God. After all, Aaron stood with Moses before Pharaoh. Aaron was intimately acquainted with the awesome power of God against the false gods of the Egyptians. Aaron knew God and the destructive power of His wrath. So Aaron said to them, “Take off the rings of gold that are in the ears of your wives, your sons, and your daughters, and bring them to me.” So all the people took off the rings of gold that were in their ears and brought them to Aaron. The text doesn’t hint at a wavering or hesitation on Aaron’s part. He could have done any number of things, such as tell them to do whatever they wanted, prayed to God for help, or defiantly demanded their execution. Instead of taking a stand for the Lord, he aided them in their apostasy. Aaron allowed the fear of the people to overrule his fear of the Lord. Can we fall into the same trap? We can come to know God, worship His Holy name, and do all these wonderful things “for Him,” and then cave to world pressure in an instant. It’s so very easy to give way when our job, our friendships, or our very lives are on the line. We can deny Him by our silence. We can deny Him by our apathy. We can deny Him by our words. We can deny Him by our neglect. We can even pull a “Peter,” and deny Him outright. Do not fear those who kill the body but cannot kill the soul. Rather fear him who can destroy both soul and body in hell.Are not two sparrows sold for a penny? And not one of them will fall to the ground apart from your Father. But even the hairs of your head are all numbered. Fear not, therefore; you are of more value than many sparrows. When confronted with pressure, push back with prayer. God has given us armor to stand against our enemy. Are we putting it on? Are we remembering what a mighty God we serve? Or, are we like Aaron, just going along with apostates and even aiding and abetting? If you have come to know the Lord, keep Him ever before your eyes. Stand for Him because you both love and fear Him more than you love and fear the world. Greater is He who lives within you, than any who are in this world. This is Part 4 of the Series “The Effects of Knowing God” For the previous post, click here. Previous Post Tired of all the Negative in Your Newsfeed? I surely can. It’s easy to slip into the “second” group when we become overly confident in ourselves. God has always valued the humble in heart. Very true words. I think with age, I have become bolder. We cannot be silent or allow ourselves to be silenced because of fear. People respect conviction and passion even when they don’t respect the content. We have something so valuable to offer the world around us. We must be bold with how we live and speak. Very true, Patty. I also find that when I try to formulate careful reasoned responses, I get more willing listeners than when I shout them down. I always loved the way Jesus forced people to confront their error by asking introspective questions. I’ve been trying to do more of that too. 🙂 Great comment! Good advice when jumping into the conversation. Thanks! There’s a pun I really like, “when Jesus Christ Himself returns a whole lot of people are going to try to rebuke Him for not being more Christ-like.” Yep. I love your pun, too. As someone trying to live for Christ, I realize with each passing day how little I used to understand His holy and compassionate nature. Great comment as always, IB. Thank you so much! Why do we cower in fear when Almighty God has our back? Part Four of a great series by my blogging friend Elihu. I really suggest heading over and reading the whole series. So true brother! How many times have I not witnessed to people about their soul because of fear of making them angry or upset. Yet, if they were about to fall off a cliff I wouldn’t hesitate to speak up. Shame on me! Please pray for me that I will have boldness and fear God and not man. It’s easy to write these things, but I have always been a reluctant speaker. Too many times I have held back when I should have stepped up. May the Lord bless you with boldness to proclaim the truth of the gospel, and may His Word be planted in many hearts. Thank you, Ellie! 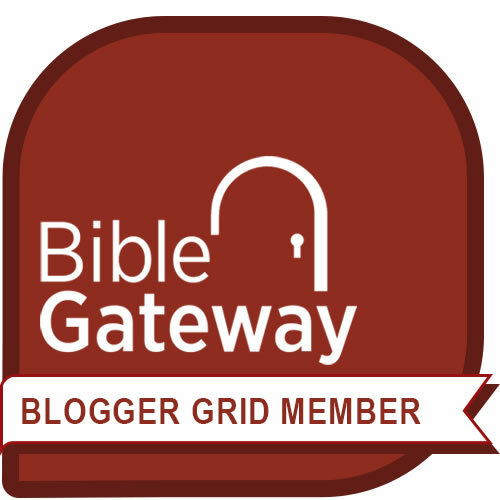 I am honored to have you following my blog too! May the Lord bless you in your efforts for Him. You are so right. Conservative types, especially Christians, are raised with “golden rule,” “turn the other cheek,” “speak no ill,” “be meek and humble,” plus other teachings. I’m not saying those are not worthy rules for life, but they need some balance. The first balance is prayer, which we are not so great at either. But there comes a time when to be like Jesus means to “whip out the unjust merchants.” See, I’m even cautious right here of the fact that I used the work “whip” and I think I hope no one misunderstands me. We are not meant to cower in the face of evil. We are often being told to “unite and love;” we are not told by the Lord to unite with any form of evil. Thanks for the boldness of your words. Amen to all your points! I think people have a mistaken idea of what love involves. Sometimes loving someone means telling them they’re wrong in order to spare them long-term destruction. Thank you for your excellent comments. God be with you.